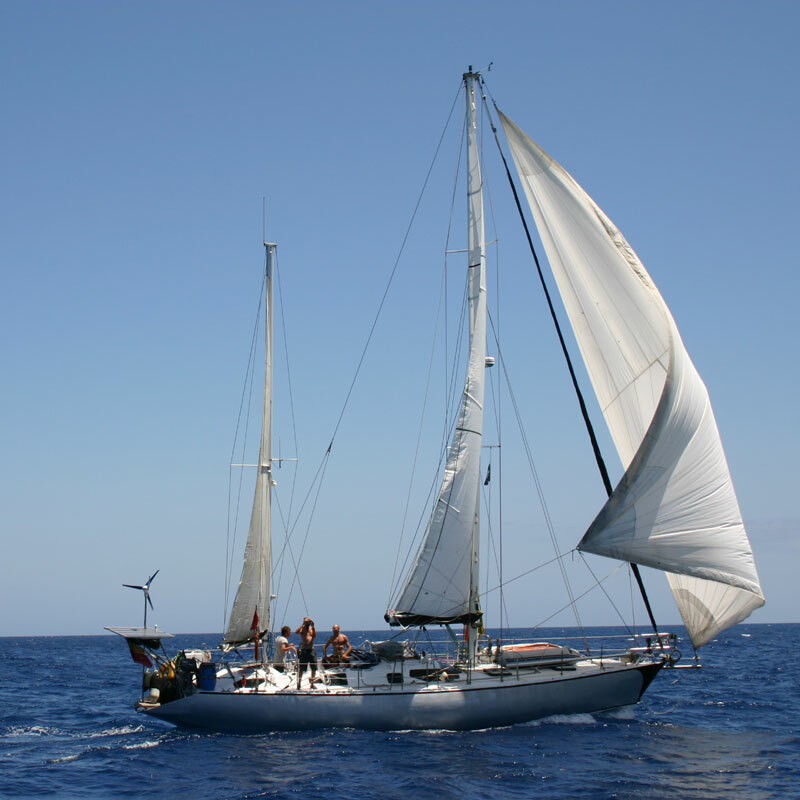 After a 10 days long passage (3 of which drifting in no wind) from the Canary islands to Cap Vert, we have been at anchor in Mindelo for a while, visiting Sao Vicente and San Antonio, and preparing L’Alliance for her jump across the Atlantic. We really enjoyed a lot our stay in Mindelo, where we met again our friend Rai (co-founder and great promoter of the “Cofradía de Navegantes Anarquistas”) and many more interesting sailors (like the crew of s.v. Espiritu). We even received the visit of Metello’s parents, who came for a day sailing trip on L’Alliance for the very first time. And just before to leave Porto Grande, The Ship of Fools arrived and drop anchor near us… what a pleasure to finally visit this legendary Dutch ship, built in 1916, serving as a floating theater for almost 30 years and traveling around the world (relying on a 60 years old engine! ).